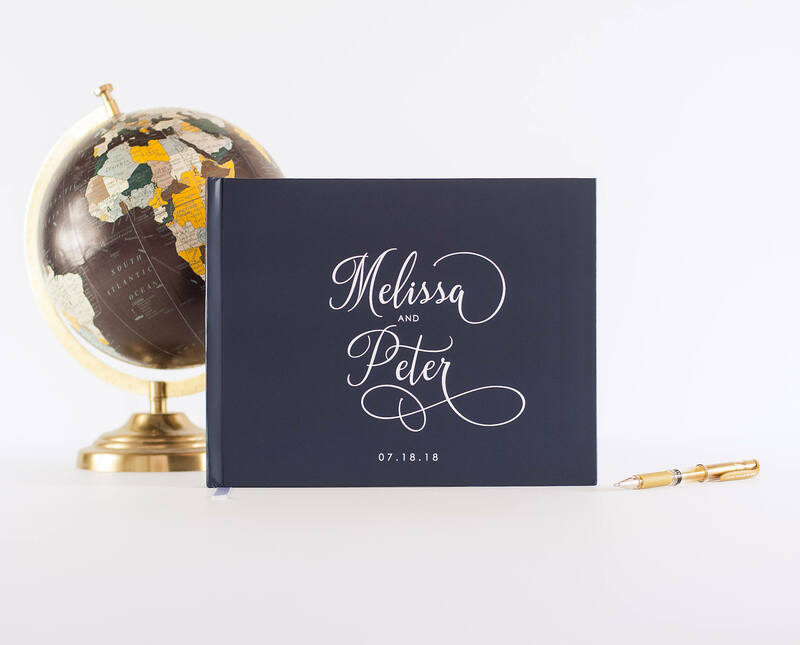 This navy blue guest book is ready for memories and well wishes collected on your wedding day! 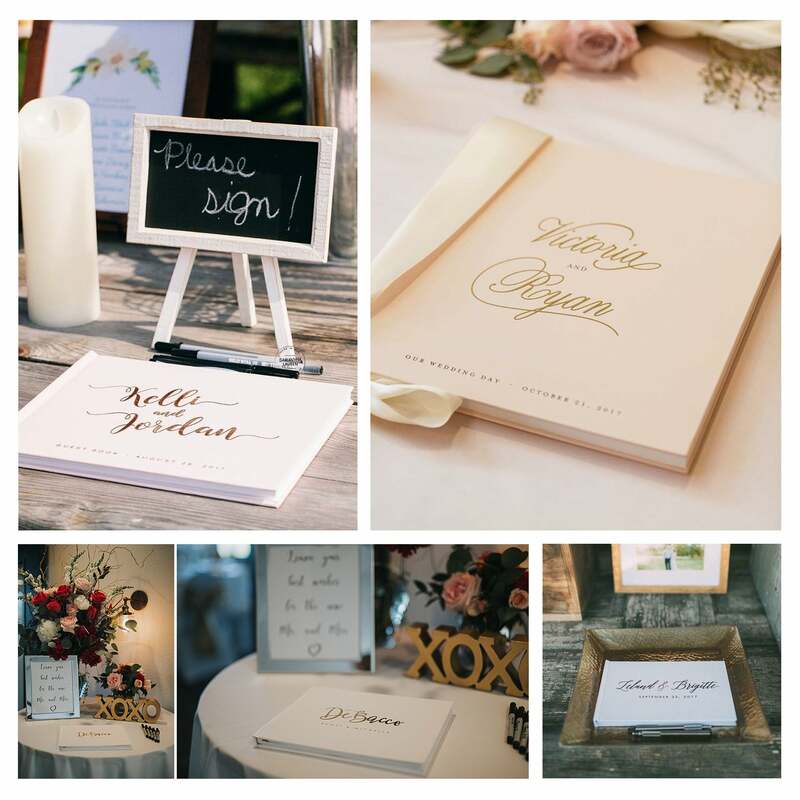 The romantic script font personalizes the cover with your names. 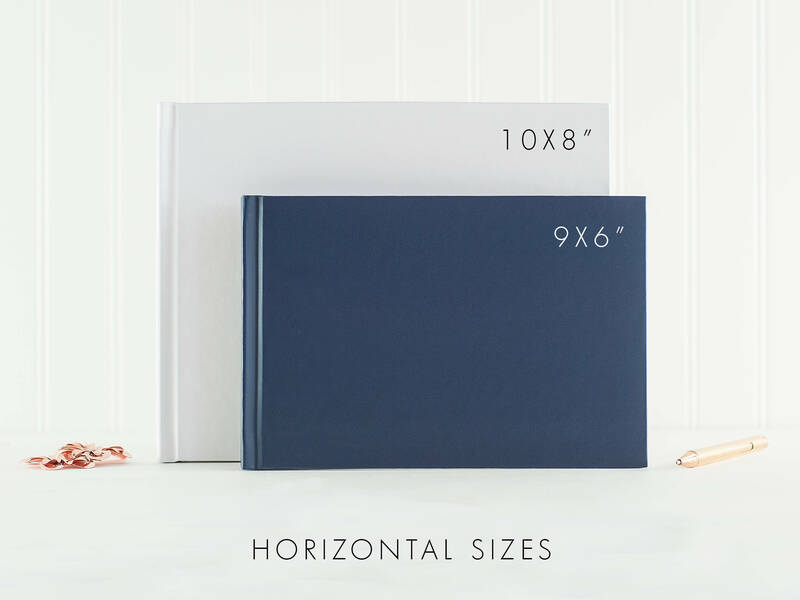 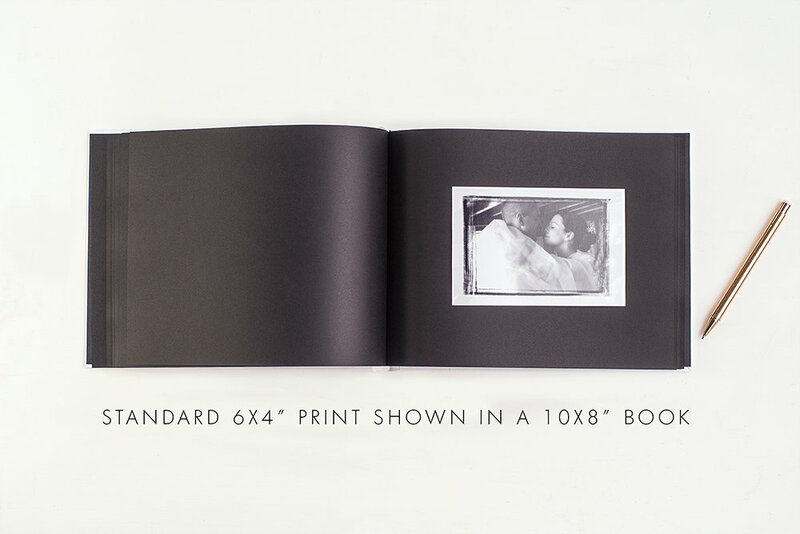 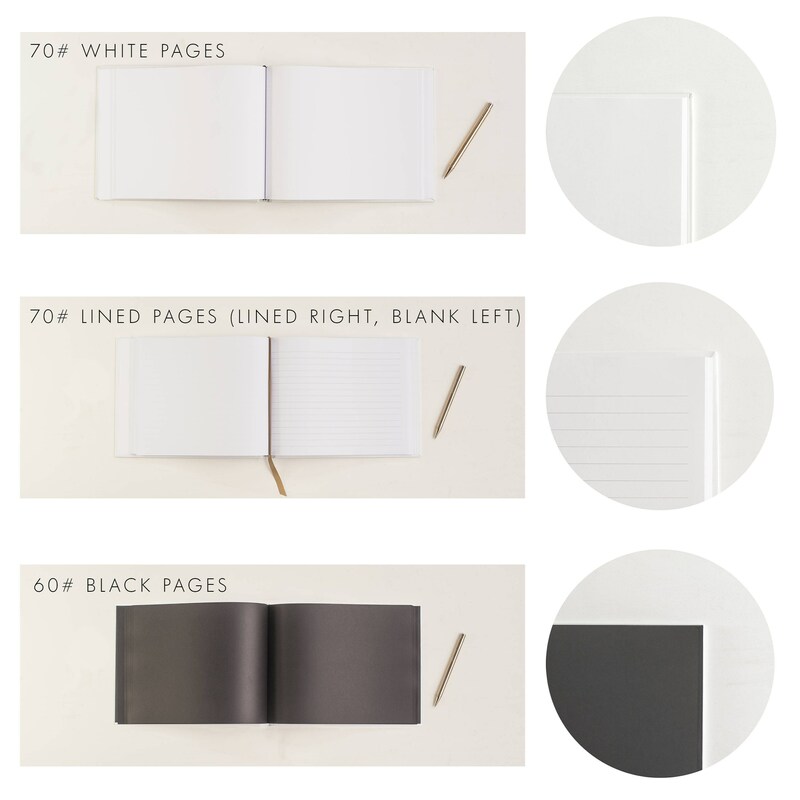 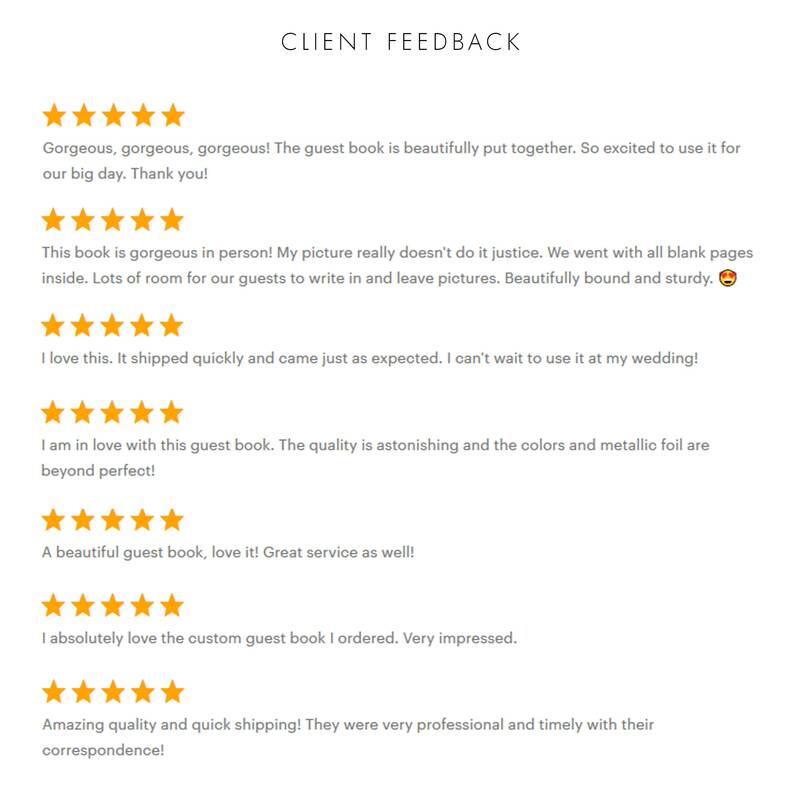 This guest book design comes in your choice of two horizontal book sizes and three interior page options to create the perfect book for you. 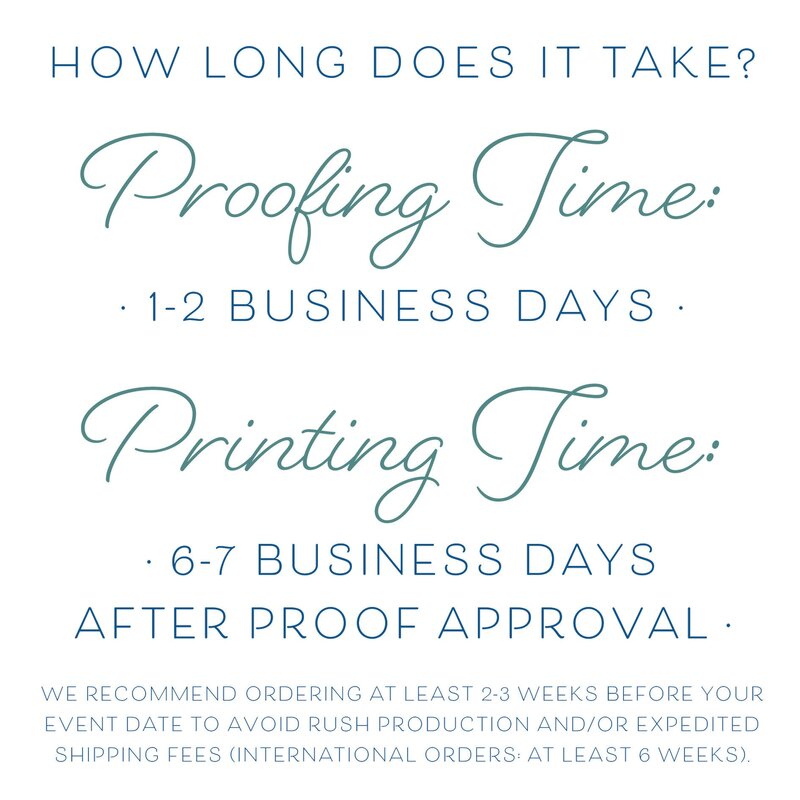 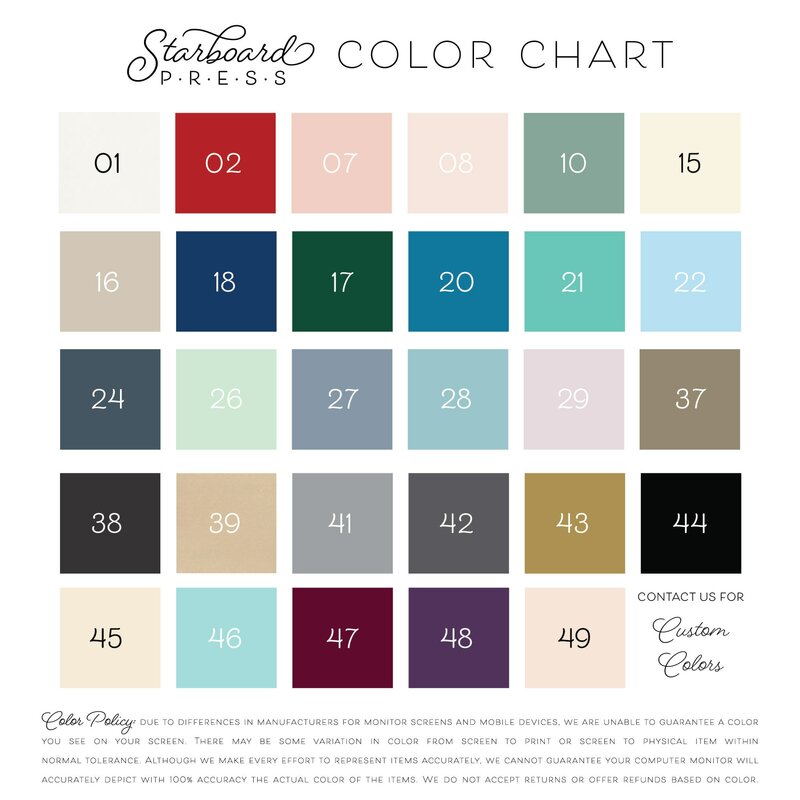 Customize the cover and text colors using our color chart to coordinate with your wedding theme. 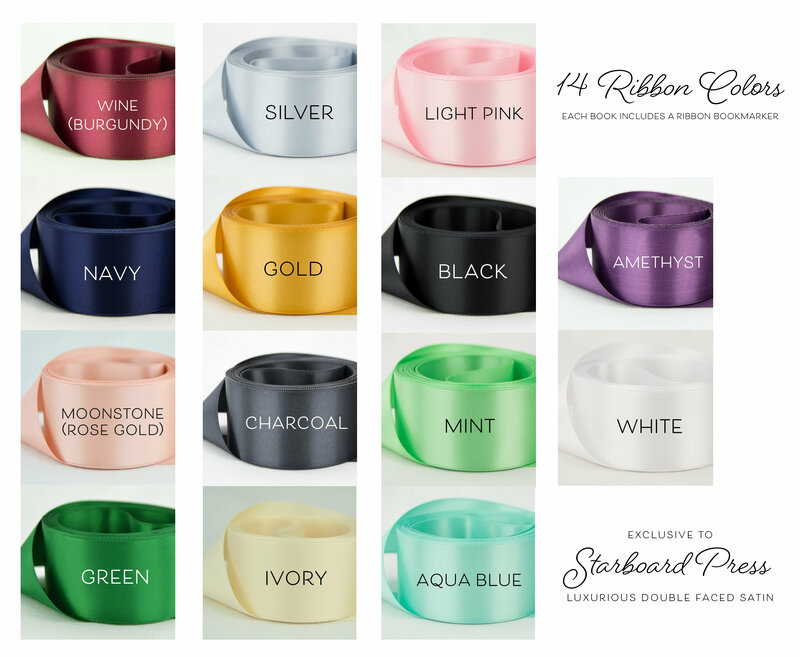 The navy and white shown here is a great choice for a nautical wedding, but with over 40 color choices you can truly customize the colors as your own.